Theresa May Issues Draft Brexit Agreement With EU - Joe.My.God. May emerged from her official residence at No. 10 Downing Street in London on Wednesday evening after a five-hour, “detailed and impassioned debate” to say her cabinet had taken a “decisive step” in the Brexit process. Her government still needs the British Parliament, and all other EU member states, to sign off on the deal. May’s government or the EU were expected to make the full details of the draft Brexit proposal public this week. Pro-Brexit lawmakers say the agreement will leave Britain tethered to the EU after it departs and unable to forge an independent trade policy. On the other side of the argument, pro-EU legislators say May’s deal is worse than the status quo and the British public should get a new vote on whether to leave or to stay. In between those two camps are May’s supporters, who argue that the deal is the best on offer, and the alternatives are a chaotic “no-deal” Brexit that would cause huge disruption to people and businesses, or an election that could see the Conservative government replaced by the left-of-center Labour Party. Failure to secure Cabinet backing will leave May’s leadership in doubt and the Brexit process in chaos, with exit day just over four months away, on March 29. 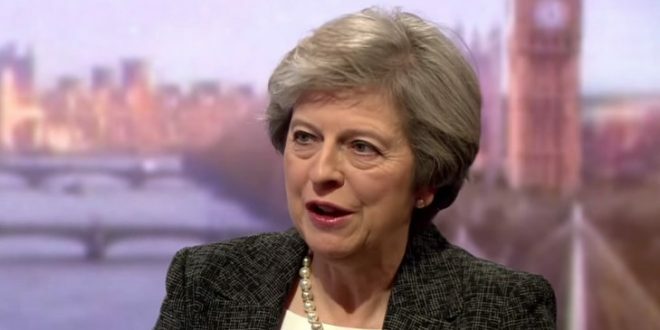 May also could face the threat of a coup attempt from her own party. Theresa May’s Brexit deal is TERRIBLE & will p*ss off everyone. I predict resignations, mayhem & her ousting as PM.